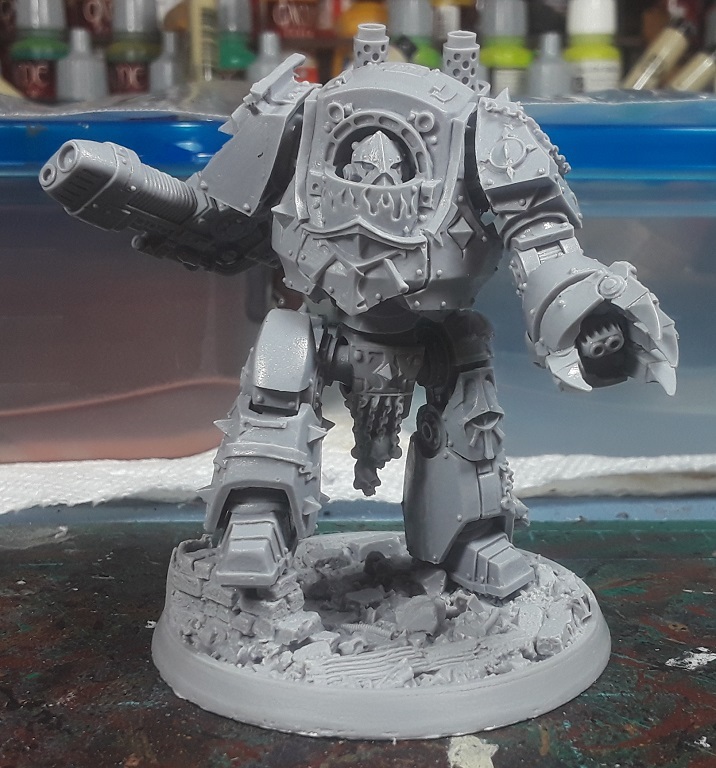 Mordian 7th Regiment: Heresy Era Sons of Horus - Contemptor Dreadnought built! 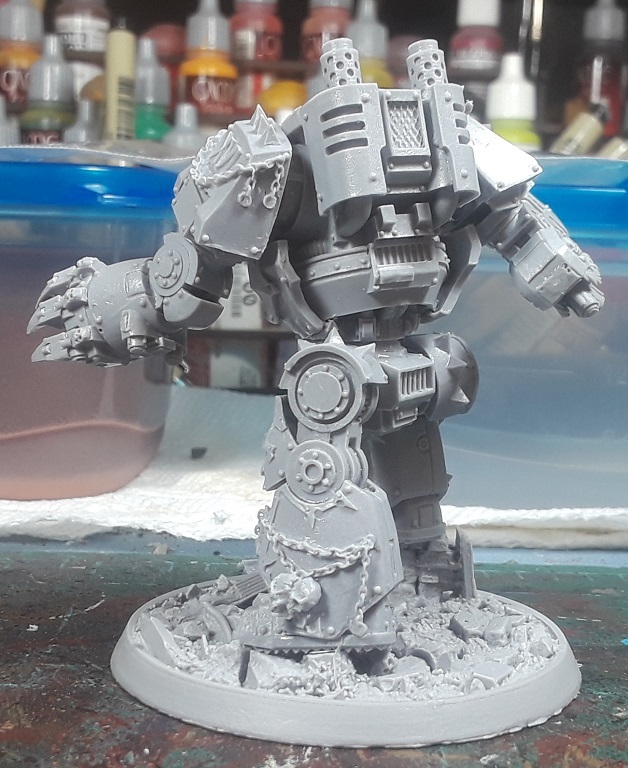 Heresy Era Sons of Horus - Contemptor Dreadnought built! 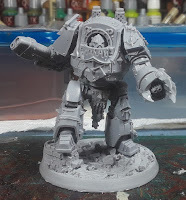 Just a quick hit today - A bit more build time yesterday saw the Sons of Horus Contemptor assembled and ready for primer! I always enjoy the freedom of posing the FW Contemptor kit offers, and the legion-specific models are generally gorgeous. I've always had a particular fondness for the Sons of Horus version - it's just brutal looking! Carrying on with the plasma theme it's got a plasma cannon and a plasma blaster in the fist, so it should excel as a heavy infantry/light tank hunter! At this point I had to stop myself from just carrying on and building up a mountainous pile of resin models. Before I assemble anything else I think I'm going to challenge myself to paint up what's been built so far - having a huge backlog of minis to paint can sometimes be demoralizing, and I find having something fun to build to reward myself for painting is a nice motivator! Lovely pose and great mini, so many great little details. magpies and sons of horus. Hersey, Heresy everywhere -_- Time to start on my white scars primaris to counter all this... this... HERESY!!!! Looks good, cant wait to see it painted. Yep. You'd think twice about taking him on. @Siph_Horridus: Indeed, FW knocked it out of the park with this sculpt! @Zab: Hah! I would love to see that, man! 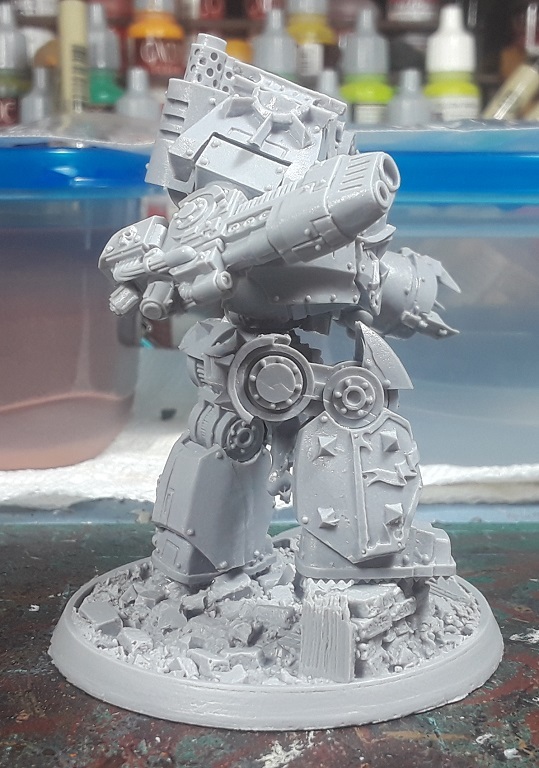 @Zzzzzz: It is just a brutal sculpt - not full on over-the-top chaos like some of the Word Bearers heresy models, but you can feel the influence starting to show through!